Eyecare Medical Group uses lens implants to achieve better vision results for cataract surgery patients. “While most people have a pretty solid awareness of what a cataract is, many do not realize the very widespread incidence of cataracts across the world nor do they realize the options and positive results we achieve with lens implants for vision correction after cataract surgery,” remarked Maine Cataract Surgeon Bruce Cassidy, M.D. 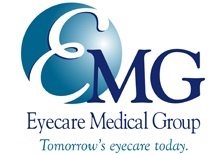 of Eyecare Medical Group in Portland. Cataracts are the leading cause of blindness worldwide. About 20.5 million Americans age 40 and older have cataracts and more than half of all Americans develop cataracts by age 80. A cataract is a clouding of the crystalline lens of the eye preventing light rays from passing through it easily. This results in a clouding and blurring of vision. Cataracts are not a growth or a film over the eye. For many patients cataracts start out slowly and have little effect on vision at first. But, as the cataract becomes denser, so does the impact on vision. The most common symptoms that bother patients with cataracts include blurry or cloudy vision, sensitivity to light and glare, double vision in one eye, poor night vision, sometimes with haloes around lights, fading or yellowing of colors and often a need for frequent changes in glasses or contact lens prescriptions. “If a cataract begins to impact your ability to live your desired lifestyle by limiting your daily activities or even limits your safe and comfortable mobility, then it is time to consider cataract surgery and lens implants. Cataract surgery and lens implants are among the safest and most frequently performed surgeries in the United States. We use advanced technology Intraocular Lens Implants (IOL) available that allow us to provide sharper vision in dim lighting conditions, toric lens implants to correct astigmatism and even lens implants that correct near vision, arm’s length vision as well as distance vision without requiring bifocals or reading glasses for the vast majority of patients,” said Dr. Cassidy.